Give an old bicycle a new life! Check out our upcycled bikes! Learn new skills while helping others. Help us create a lasting change! We’ve just scheduled our next Overhaul Class! Our six-session Fall Overhaul Class will be taught by Martin. Classes are Sunday afternoons 2-5 PM. 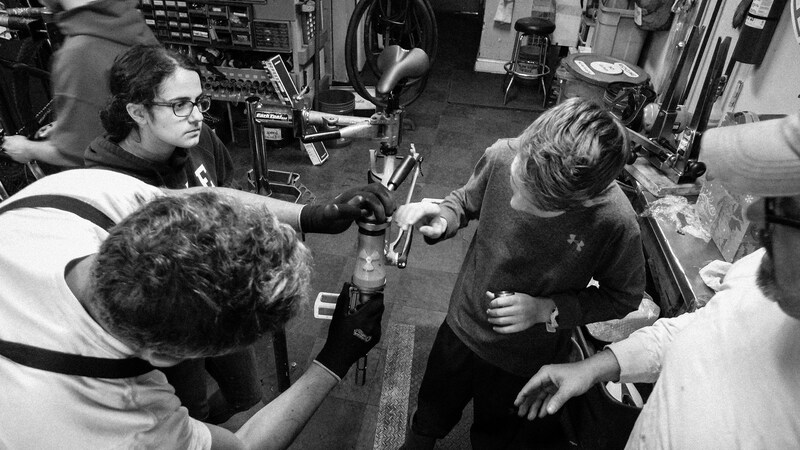 You’ll learn how to disassemble, reassemble, and adjust each major mechanical system of your bicycle, week-by-week. We recommend taking the Tune Up Class before this one, if you have never fixed a flat. Join us for Our August WTF Night!!! Every 4th Sunday 6pm-9pm, The Recyclery co-hosts WTF (Women | Trans | Femme) Open Shop Night in collaboration with Women Bike Chicago and CommunityCave Chicago. This program is led by WTF mechanics from both Women Bike Chicago and The Recyclery, with CommunityCave helping to create a intentionally inclusive space for our trans and gender expansive community members. August Tune Up Class Scheduled for Next Weekend! If you’ve been awaiting the scheduling of our next Tune Up Class, wait no more! Get ’em while they’re hot, y’all!!! This two-part bicycle Tune-Up Class will be taught by Max, and will introduce you to basic bicycle maintenance. We’ll cover tool and component terminology, fixing a flat, chain maintenance, brake pad replacement, and basic shifting adjustments. Our July Tune Up Class will vary a bit from regular scheduling, meeting in the afternoon! We will meet on Sunday, July 22 and Sunday, July 29, from 2:00 to 5:00 PM. This two-part bicycle Tune-Up Class will be taught by Tzippy and will introduce you to basic bicycle maintenance. We’ll cover tool and component terminology, fixing a flat, chain maintenance, brake pad replacement, and basic shifting adjustments. Our next Tune Up Class has been scheduled!!! Our June Tune Up Class will vary a bit from regular scheduling due to Fathers Day. We will meet on Sunday, June 10 from 6-9pm, and then again on Monday, June 18 from 6:30-9:30pm. 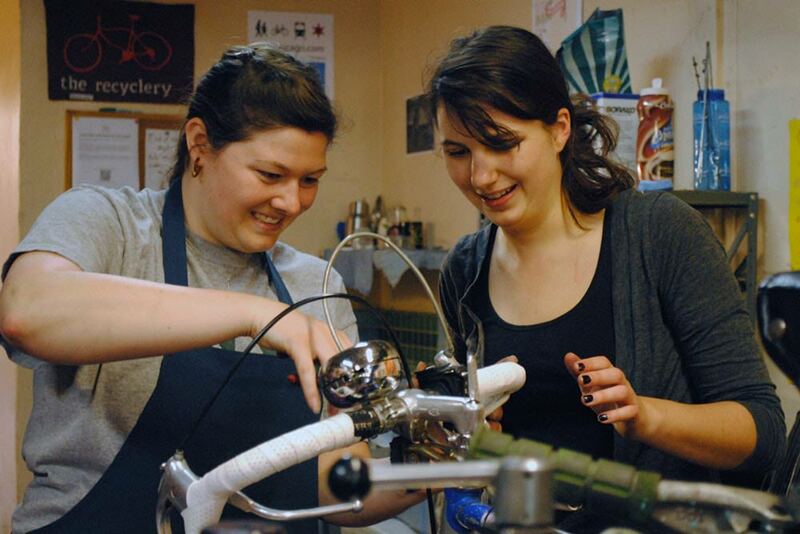 The Recyclery Collective is an educational bike shop that promotes sustainability by giving access to tools, skills, and opportunities for collaboration. We envision a diverse, resilient neighborhood filled with knowledgeable, self-reliant cyclists. Collaboration: We create opportunities for people of all backgrounds to work, share, and learn together to support a practical form of transportation. Social Justice: We provide tools and resources to empower underserved populations and nurture community leaders. Ecological Sustainability: We encourage the mindful use of resources and promote cycling as a part of building more resilient communities. Celebrating Everything We Do: We like to have fun while working hard to make bicycles and mechanics accessible. The Recyclery is a 501c3 non-profit. All major decisions are made by a quorum of collective members at a twice-a-month meeting. Decisions are made by consensus and the collective is open to anyone willing to put in the time and effort to fulfill collective entry requirements. 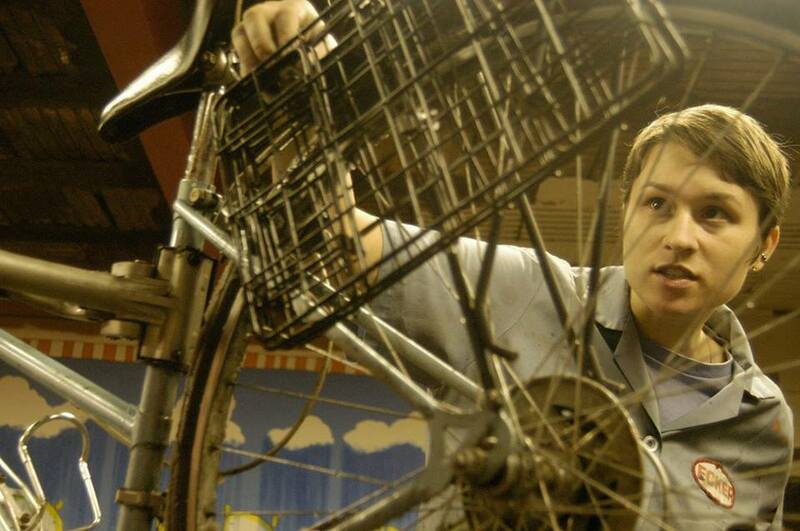 A few staff members are paid for administrative tasks, fixing bikes for sale, and teaching classes. Regular volunteers fix bikes that we give away and help during Open Shop.